West Jersey Hospital opened in 1885, for the purpose of giving relief to the sick who were poor. It bore the name of "Camden Homeopathic Hospital and Dispensary Association," and was the first successful attempt in Camden to establish an institution which would offer treatment to "worthy persons unable to employ a Homeopathic physician." It was intended for women especially. On February 5, 1885, the new organization elected officers, the Honorable E. A. Armstrong serving as its first president. 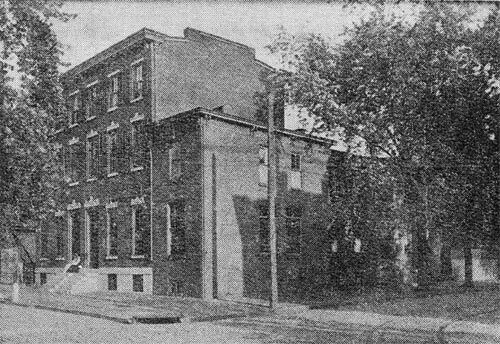 Property at Fourth and Arch Streets was rented, and opened for patients in late April of 1885. At the annual meeting of the Association, on July 30, 1887, the organization was made a stock concern, the value of the stock being fixed at twenty-five dollars a share. Only those prepared to take up such shares of stock were allowed further voice in the affairs of the organ­ization. The new Association retained the old officers already elected, and chose a Board of Directors as well as a new Auxiliary Board of Ladies. 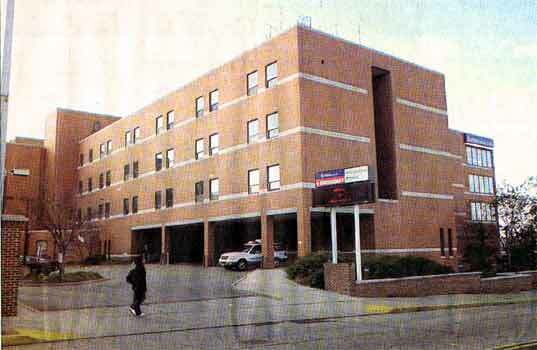 During the following year, the Board of Directors bought the property on the southwest corner of West and Stevens Streets, and the hospital was transferred to this new location. In the fall of 1890, because of lack of financial support, the Association voted to close the hospital, most of the equipment being disposed of by sale. The Dispensary was kept open to fulfill its contract with the city, which did not expire until June, 1891. In April, 1891, steps were taken to organize a new association to take up the city contract, and so to continue the equable division between the Homeopathic and Allopathic schools of medicine. On April 30, 1891, a meeting of those interested resulted in the decision to form a new organization. 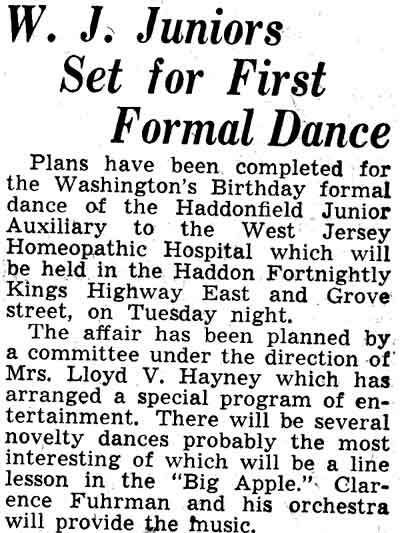 The name adopted was The West Jersey Homeopathic Dispensary and Hospital Association. At the first meeting of the Board of Trustees on May 15, 1891, officers were elected, Walter M. Patton being chosen president, and articles of incorporation were signed. The Board of Trustees rented the property at 3 North Fifth Street, and opened a dispensary. At the next meeting in December, the old organization proposed the sale of their original building. An agreement was finally reached by which the new organization acquired all the property and contract rights of the old institution. After appropriate preparation, the building at West and Stevens Streets was opened as a hospital for women and children. 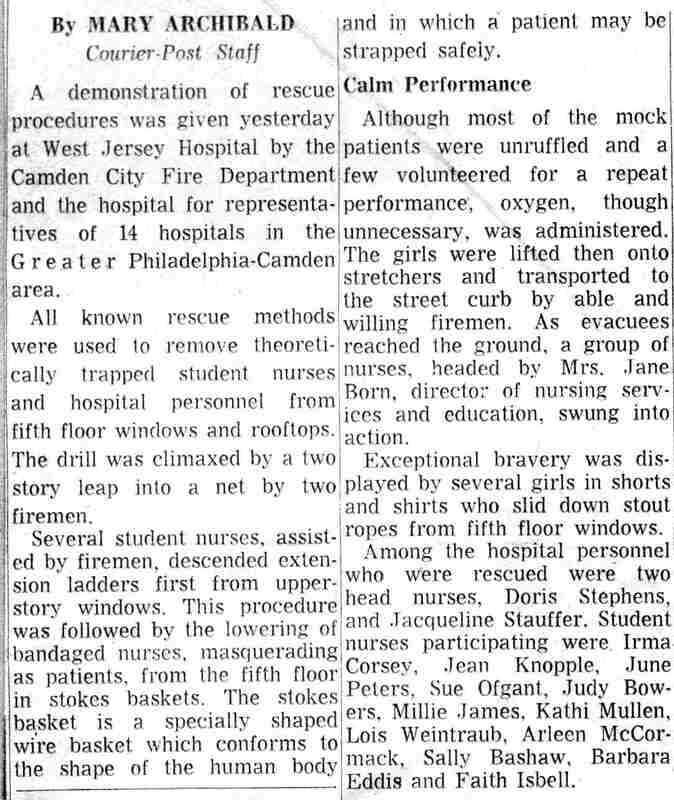 For the first time in the city of Camden, hospital facilities were provided for the care of confinement cases. In 1901, the property adjoining 432 Stevens Street was purchased and equipped for hospital purposes. In 1902, it was opened for male patients. In 1904, two adjoining open lots were purchased by Charles A. Reynolds and C. W. Nichols, and donated to the institution. In 1909, the growth of the hospital necessitating further expansion, a tract of six acres, known as the Kaighn Farm, was purchased, becoming the site on which the present buildings are located. An old building on this property was adapted for a nurses' home. 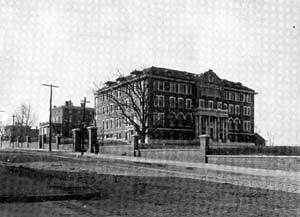 In 1914, the new building, with a capacity of one hundred forty-four beds, was completed at a cost of $145,268.00, including equipment. Generous gifts from Mr. S. Canning. Childs, of Collingswood, made further expansion possible. 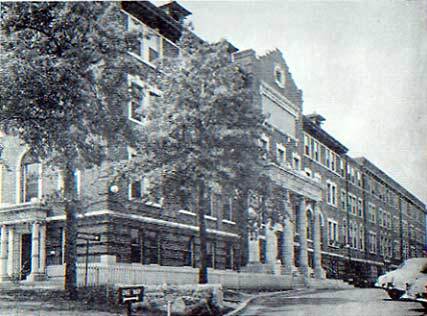 In 1924, Mr. Childs gave to the hospital the building which was to be known as the Frances Childs Maternity Building, this being completed in March, 1926. 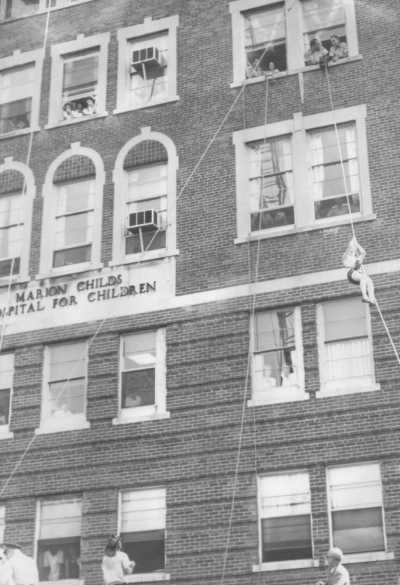 In April, 1925 Mr. Childs donated $250,000.00 for the purpose of building a Children's Hospital, this being completed and opened for patients in June, 1927. Mr. Childs also gave an additional sum to the hospital's Endowment Fund. In May 1925, the Board of Trustees approved the construction of a new nurses' home, the Charles A. Reynolds Nurses' Hall. Completed in October, 1927, at a cost of $151,689.00, the hall accommodated sixty-eight nurses. 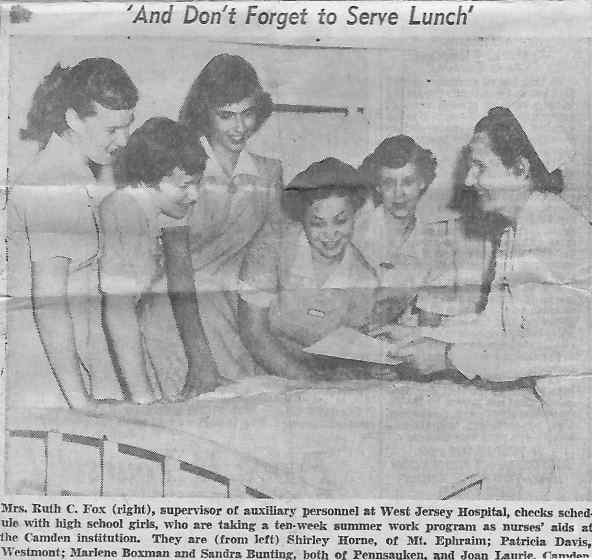 During the depression, and throughout World War II, West Jersey doctors and nurses, at home and on the war fronts, wrote their own chapter of accomplishment. West Jersey grew in stature. 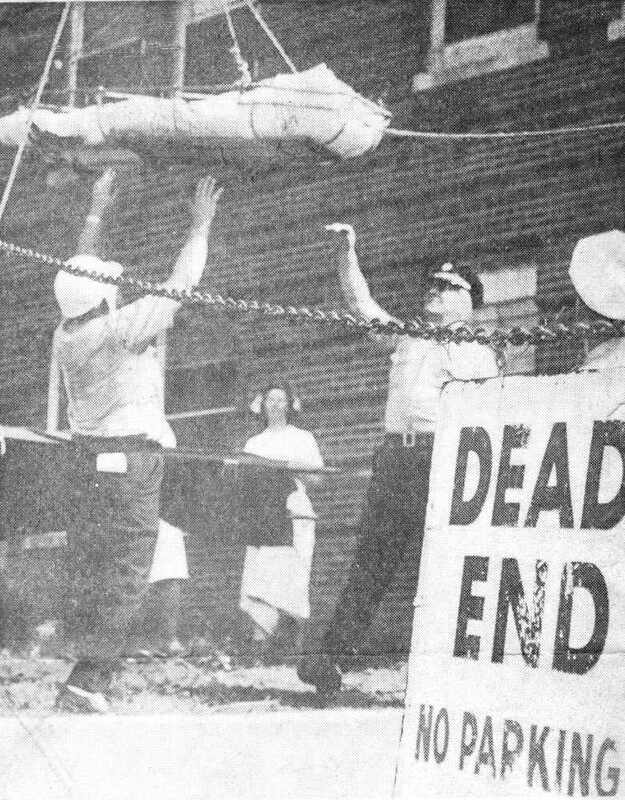 The West Jersey School of Nursing, founded in 1895, with a class of four students, today has eighty-nine students. It was the first school of nursing in South Jersey to earn the interest of Dr. Leonard Felix Fuld, president of the nationally recognized Helene Fuld Health Foundation, established to promote student health programs. 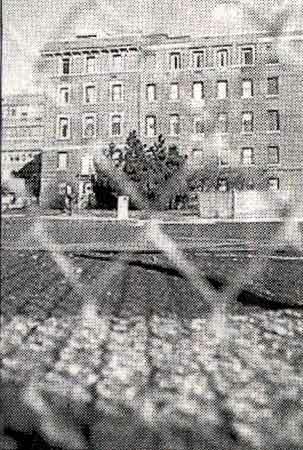 In 1953, the first Helene Fuld Nurses' Residence was built and put into operation. In 1954, a second Fuld grant made possible the Nursing Arts Classroom and Lecture Hall. In 1956, the modern Frances Childs Maternity Section was completed, being dedicated on October 19th. In the same year were provided new pathology laboratories and new temporary patient quarters. Other expansion projects completed since 1952, are the following: an electric sub-station; a change from DC to AC current in nursing buildings; re-piping, to accommodate a new heating system and a renovated boiler room; an up-to-date maintenance program; new operating rooms to replace those which have been outgrown; a new x-ray department, which adds radio active isotope and heart catheterization equipment to serv­ices of this area, and increased patient parking facilities. The following have served as presidents of the Board of Trustees and as Chiefs of Staff, from the opening of the hospital in 1885 to the present date, 1957. Hon. E. A. Armstrong E. M. Howard, M. D.
Walter M. Patton George D. Woodward, M.D. Charles H. Knowlton Lee E. Griscom, M.D. C. W. Nichols Earl G. Hallinger, M.D. Charles W. Russ H. Wesley Jack, M.D. In 1952, William N. Morrison succeeded David Kenerson as administrator of the hospital. Members of the Woman’s Board to the West Jersey Homeopathic Hospital have gathered their forces and are in readiness for their annual Tag Day tomorrow. 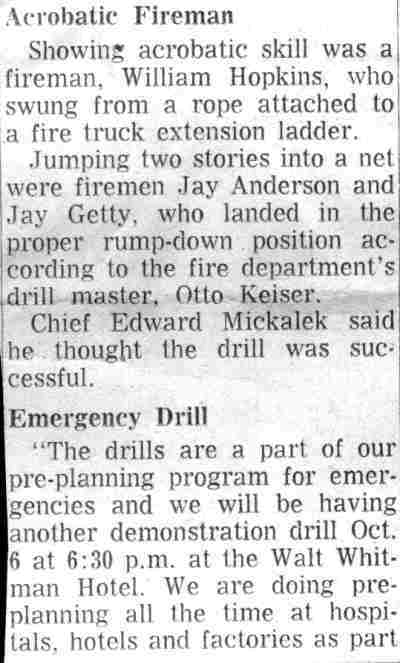 The assistance of all the city and suburban auxiliaries as well as the aid of the Camden City Firemen have been enlisted. The city and suburbs will be covered by the various groups selling the small cardboards while food and flower sales will be conducted at various points. In Camden, the City Auxiliary will conduct a food sale at 407 Broadway, and the board members under the direction of Mrs. Charles Lacy will hold another at 540 Federal street. General arrangements for Tag Day are under the direction of Mrs. William B. Scott, president of the Women’s Board. The members of the board include: Mrs. Harvey Cannon, Mrs. John Danenhower, Mrs. William Clifton, Mrs. Benjamin Wrobleski, Mrs. Ruth Blessing, Mrs. Isadore Green, Mrs. Meyers Baker. Mrs. Lee Griscom, Mrs. George Woodward, Mrs. Joseph Kobus, Mrs. James J. Scott, Mrs. Edith Kerbaugh, Mrs. A. K. Eynon, Mrs. Richard Connor, Mrs. Abe Fuhrman, Mrs. Clarence Fisher, Mrs. Kenneth Athey, Mrs. Robert Warwick and Mrs. F. T. Garrison. Assistance of the fire department of the city has been arranged through the courtesy of Chief Thomas Nicholas. 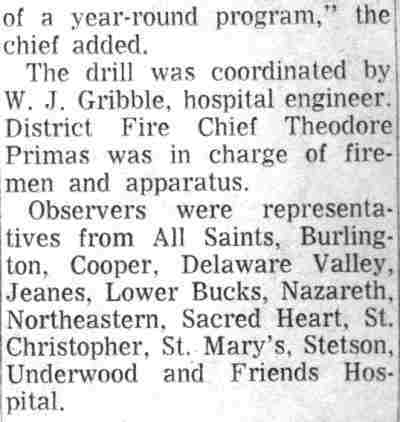 Sales being conducted by the auxiliaries are under the direction of the following chairmen: Audubon, Mrs. Henry R. Tatem, Jr.; Camden, Mrs. Harry Hackman; Collingswood, Mrs. Milton M. Bitter; East Camden Juniors, Miss Martha Stone; Delair, Mrs. William Morrow; Gloucester, Miss Elizabeth Felbs; Gloucester Heights, Mrs. Mary Gormerley; Haddonfield, Mrs. William F Clement: Haddonfield Juniors, Mrs. Hartje Riddel; Council of Jewish Women, Mrs. Henry Cooperson; Pennsauken and Merchantville, Mrs. J. Perry Long; Haddon Heights, Mrs. Frank Underkuffier; Italian Branch. Mrs. F. Puleo; Polish Branch, Mrs. Edward Praiss; Stratford, Mrs. Charles Jaggard; Woodlynne, Mrs. Charles Harrison. Members of the Women’s Board of West Jersey Homeopathic Hospital are planning an outing to Washington’s Crossing on Monday, June 20. Mrs. William B. Scott, president, is chairman on arrangements for the trip which will be made by bus. The party will leave the Hotel Walt Whitman at 10 o’clock that Monday morning and luncheon will follow at The Olde Tavern Inn. Camden Auxiliary to West Jersey Homeopathic Hospital will hold a covered dish luncheon at the home of Mrs. M. J. Gibbs, Vincentown, tomorrow. The trip will be made by motor caravan leaving the home of the president, Mrs. Harry Hackman, 1114 North Twenty-second street, at 9.30 o'clock in the morning. Mrs. Hackman is directing plans for the events and is receiving reservations tor transportation. Members of the Camden City Auxiliary of West Jersey Homeopathic Hospital will meet Tuesday at 11 o'clock to make surgical dressings in the Charles A. Reynolds Nurses Hall. Box luncheon will follow and a business session is scheduled for two o'clock. Mrs. Steven Palmer, vice president, will preside.. The annual turkey dinner, given by the Camden City auxiliary to the West Jersey Homeopathic Hospital, will take place this Thursday evening, in the First Presbyterian Church, Fifth and Penn streets. Service will be from five until seven o'clock. Mrs. Clarence Ford is directing the plans for the affair. Mrs. William B. Scott today announces the organization of a Junior Women's Board to the West Jersey Homeopathic Hospital. The membership consists of the officers of the junior auxiliaries throughout this city and the suburbs. At the initial meeting on Monday evening at Mrs. Scott's home, 540 Haddon Avenue, were representatives from Camden, East Camden, Pitman and Pennsauken Merchantville auxiliaries. The objective of the board is to more closely unite the activities of the junior groups by outlining the year's work and by discussing plans concerning hospital affairs. One result of the meeting was the decision of various auxiliaries to maintain beds' in the hospital as their annual project. Mrs. Scott, who is president of the Senior Women's Board, is directing the activities of the Junior Board. Miss Christine Brummer, of this city, a member of the Camden auxiliary, has been appointed secretary, and Mrs. Esther C. Abbott. of Pitman, financial chairman. The Camden branch is headed by Miss Lillian Hughes, of Camden. The board will be in charge of the dance arrangements for the annual card party and dance, held for the benefit of the hospital, on April 5. Mrs. Lillian Hughes, of this city, heads the music committee. 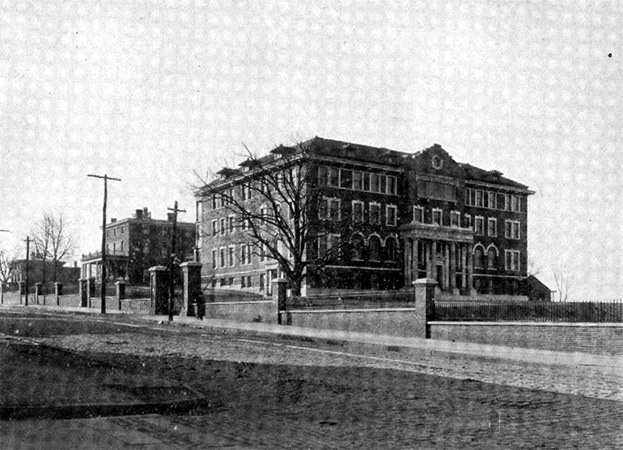 The recorded history of West Jersey Hospital dates from the opening of a small hospital at the northeast corner of 4th and Arch Streets, Camden, in the spring of 1885. This was the first successful attempt to 'open a hospital in Camden "for the relief of the sick poor," according to Dr. E. M. Howard, then of 401 Linden Street, author of a history on the hospital. "Away back in 1867 the Camden Dispensary, attempted to maintain a ward where emer­gency, cases could be cared for but it was soon abandoned for want of support. There was at this, time, 1885, standing, a building erected by the Cooper estate for hospital purposes but which had remained unfinished and unoccupied for eight years, with no promise of opening soon, and was not until nearly two years later, August 11, 1887." 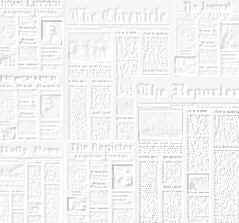 For several years efforts had been made by Dr. Howard to in­terest homeopathic practitioners of the city to the needs of such an institution. Appeals also were made to the members of the West Jersey Homeopathic Medical Society, embracing physicians south of Trenton. Failing to obtain any I active cooperation it was determined to appeal directly to the:' women of the city who were I patrons of homeopathy to help secure a hospital for women especially. Early in January of 1885, printed slips were sent out from Dr. Howard's office to be used in soliciting subscriptions for this purpose and were given to "all charitably inclined ladies whose ad­dresses could be found." 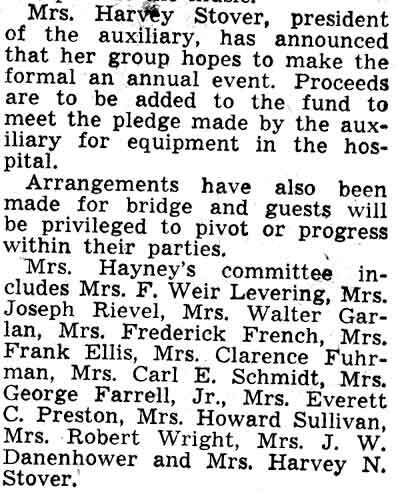 Dr. Howard writes that "the response to this appeal was so generous and encouraging that a committee was formed with Mrs. E. B. Northrup as chairman and interested ladies were invited to hold meetings at her house." 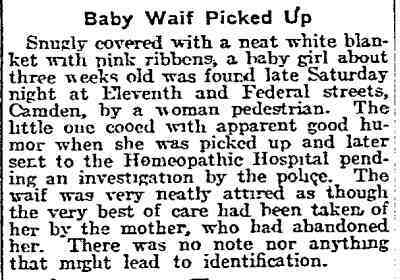 On Jan. 30, 1885, a meeting was held for the purpose of establishing in Camden "an institution where sudden accidents could be cared for and where homeopathic treatment can be given to such worthy persons as were unable to employ a homeopathic physician”. A permanent organization was effected and all contributors of $5 or more were made members. To this group was added all the homeopathic practitioners in the city. 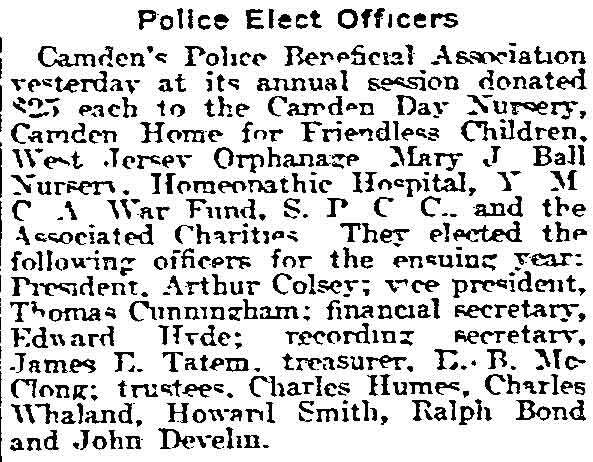 The name adopted was the Camden Homeopathic Hospital and Dispensary Association. The property at the northeast corner of 4th and Arch Street was rented and fitted for hospital purposes. 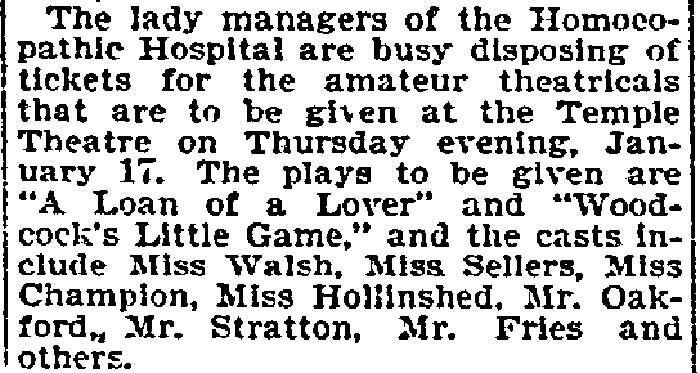 It was opened for patients the latter part of April, 1885, with Mrs. W. H. Weaton as matron and nurse. Between 1879 and 1885 the Camden City Dispensary attended the poor of the city in their homes under a contract for $1,800. The homeopathic organization put in a bid for this work and was awarded the contract at $1,500 for the fiscal year beginning in June 1885. I During the winter of 1886 a successful fair was held in Morgan's Hall. It netted nearly $3,000 and the net income was placed in bank by the women as a nucleus for a building fund. The minutes of the auxiliary board reveal that on Jan. 10, 1887, they received a demand from the hospital board that these funds be turned over to their treasurer. After "angry discussion" the women agreed to turn over the money but, at the same time, went out of business as a board. 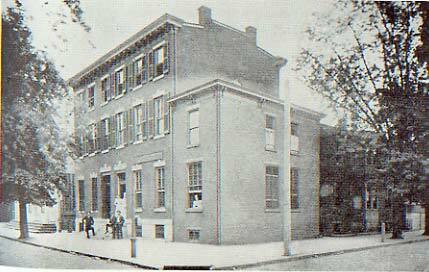 OLD WEST JERSEY Homeopathic Hospital, West and Stevens Street, as it looked in 1888. Property was purchased for $8,000 and $1,000 was spent to fit it for hospital purposes. During their two active years the women, workers had collected more than $4,000 for the support of the hospital in addition to the net $1,290.21 they turned over by demand. Later a new auxiliary board was appointed to "take charge of household matters but not to handle money." During the following year the directors bought the property at the southeast corner of West and Stevens Street from Dr. A. E. Street for $8,000 and spent about $1,000 to fit it for hospital purposes. Work was transferred there from 4th and Arch Streets. In the fall of 1890, due to lack of harmony between the board and physicians and lack of financial support, the association voted to close the hospital. This was done and most of the equipment sold. The dispensary was kept pone to fulfill its contract with the city. On April 30, 1891, a meeting was held in Dr. Howard's office and the West Jersey Homeopathic Dispensary and Hospital Association was formed. Nine trustees were elected and the property at 3 N. 5th Street rented for $18 per month. A dispensary was opened. The building at West and Stevens Streets, after refitting, was "opened as a hospital for women and children in April of 1892. "There were at this time three private rooms and two wards of six beds each. The property adjoining 432 Stevens Street was purchased in September of 1901 for $4,100 and, after being equipped, was opened for male patients in 1902. In 1904 two adjoining open lots were purchased by Charles A. Reynolds and C. W. Nichols and donated to the institution. Growth of the hospital necessitated additional expansion and, in 1909, a tract of six acres known as the Kaighn Farm was purchased and became the site where the present buildings are now located. An old building on this property was adapted for a nurses home. In 1914 a new building, with a capacity of 144 beds, was completed at a cost of $145,268, including equipment. Generous gifts from S. Canning Childs of Collingswood made additional expansion possible. In 1924 Childs gave to the hospital the building known as the Frances Childs Maternity Building. This was completed in March of 1926. A $250,000 children's hospital, also the gift of Childs, was completed in June of 1927. The Charles A. Reynolds Nursing Hall was completed in October of 1927 at a cost of $151,689. It accommodated 68 nurses. Throughout World War II West Jersey doctors and nurses at home and an the war fronts wrote their own chapter. 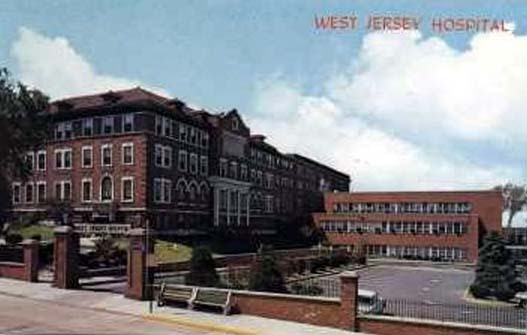 The West Jersey School of Nursing was founded in 1895. 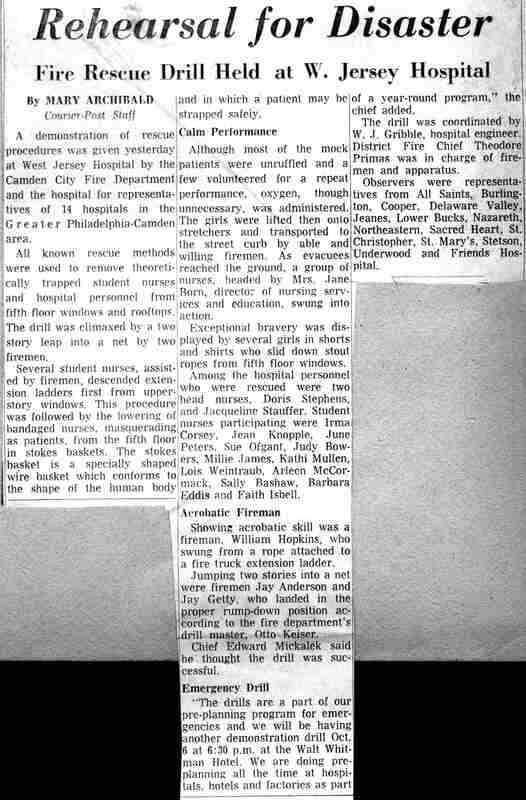 The Frances Childs Maternity Section was dedicated October 19, 1956. West Jersey Hospital today has 418 beds. William H. Morrison, administrator, pointed out the importance of a self-care unit where people can go who do not require nurses. It has 24 beds, dining room, own game room, free television. It was opened last November. A new administration building, erected with CHIEF funds, was opened in 1959. Offices are on the first floor, a laboratory on the second floor and beds on the third floor.